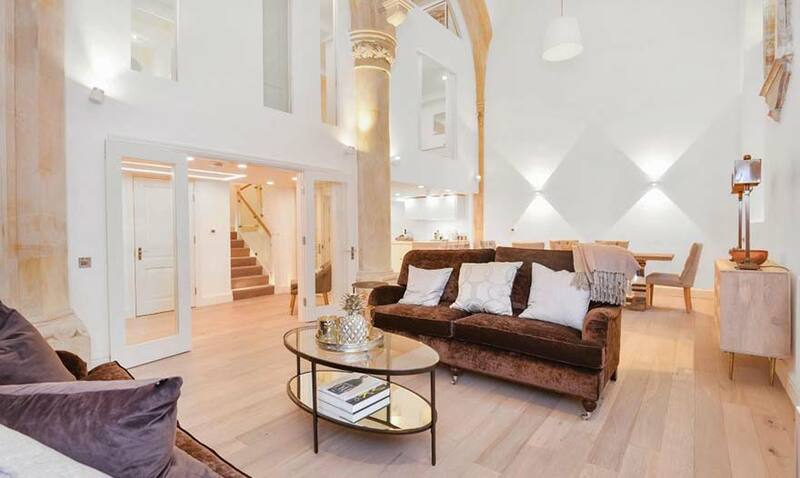 Truly exquisite ground floor apartment totalling 1640 sq ft, built by renowned local builders Alfred Homes, specialists in niche, quality developments, enjoying a superb blend of luxury internal accommodation and outside space. This beautiful apartment features its own private courtyard garden and a tranquil West facing terrace which directly overlooks Royal Winchester Golf Course. The two bedroom apartment is finished to an exceptional standard throughout and is approached by a pair of imposing double doors which welcome you into a spacious reception hallway with access to a useful storage cupboard, utility and cloakroom. A lift also provides access to all floors of the building. Doors lead through to a large and bright sitting room with magnificent bi-folding doors which open onto the private rear terrace, there is a central fireplace which separates the sitting room and kitchen/dining area. The kitchen dining area is a wonderful feature of this splendid home with an excellent range of kitchen units and integrated Miele appliances, a central kitchen island is the hub of this delightful space. Bi folding doors open out onto the rear terrace again and an atrium roof allows even more natural light to flood the room. The bedrooms do not disappoint, with the master suite being generous insize and enjoying a dressing area and fabulous contemporary en-suite, with both a bath and double shower. Again, bi-folding doors open onto the rear sun terrace. The guest bedroom benefits in turn from its own dressing area and en-suite shower room. This impressive apartment has the benefit of a stunning West-facing rear terrace overlooking Royal Winchester Golf Course and the communal gardens surrounding Connaught Square. The terrace can be accessed through the bi-fold doors from the kitchen, sitting room and master bedroom, creating a wonderful open space for entertaining or relaxing. There is also a private courtyard garden which has been paved and landscaped with raised boarders. There are two allocated parking spaces in the secure carpark as well as guest parking to the front.